Kangoo Jumps is the worldwide leading brand for safe mobile rebound exercise. Kangoo Jumps ultimate vision is to create a new way of life that skillfully combines health, fitness and fun for all. What are Kangoo Jumps rebound shoes? 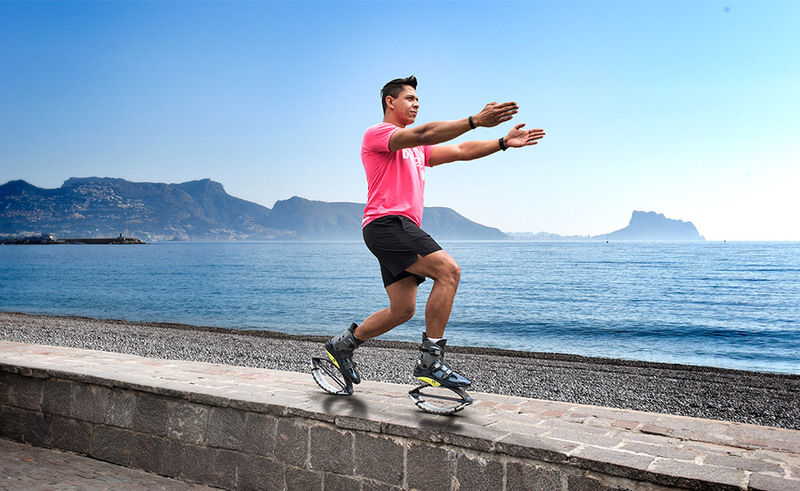 Kangoo Jumps rebound shoes are perfect for cross-training activities and provide many additional health and fitness benefits. They are designed for all ages and fitness levels and are very easy to use. They are the results of more than 20 years of studies and product development to make exercise safe and incredibly fun. The patented spring system (referred to as IPS or Impact Protection System) compresses with each step to absorb the impact of athletic activity that can cause damage to the joints. The end result is a feeling of lightness that can be compared to “walking on air”. Because the sole of the shoe from right to left is flat, lateral stability is not compromised and the user will feel safe and stable throughout the exercise session, regardless of the choice of activity. Reduce up to 80% of joint impact of athletic activity. Reduce training time and the likelihood of overtraining. Burn more calories per unit of time. KJ Fitness Programs are fun for the entire family. Release high amounts of endorphins. Copyright © 2017 - Kangoo Jumps - All rights reserved.